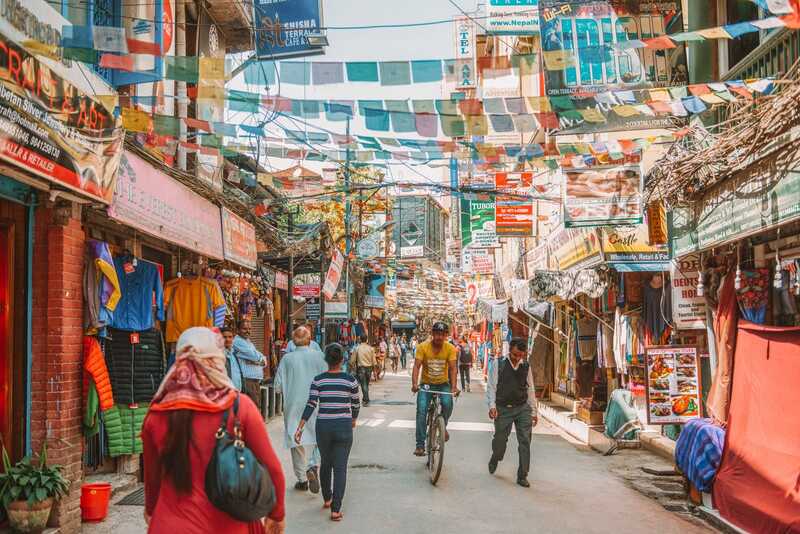 Kathmandu is an incredibly busy, energetic and bustling city in the heart of Nepal and usually the first point of call for most international visitors to the country. 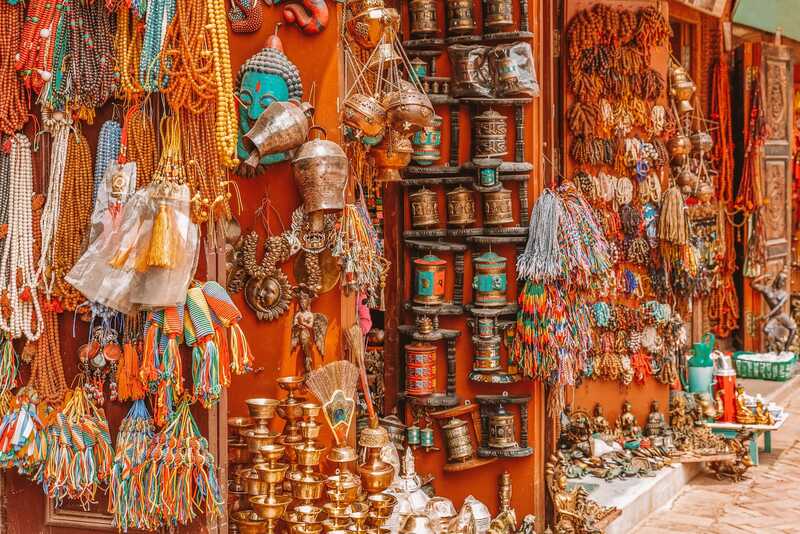 Our first visit to Nepal was incredible and there were so many amazing things to do in Kathmandu that you’ll be spoilt for choice. 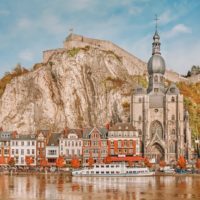 Now, if it’s your first time to the city, there are a few things to remember. Transport can be slow, roads can get quite dusty in hot weather (so take a face mask) and the summer is very hot (something I didn’t expect on our visit in May). 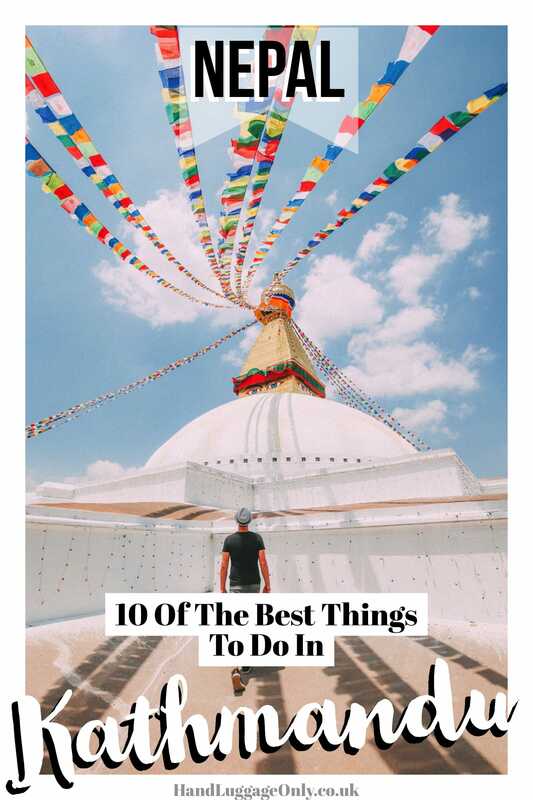 That being said, the city is filled with an incredible amount of things to do in Kathmandu. You’ll be spoilt for choice on your visit. Dating from centuries back, Swayambhu is an ancient temple that is often called the “Monkey Temple”. Once here, you’ll see the three hundred plus rock-hewn steps that lead to the temple, but once you get up there you’ll get the very best panorama of Kathmandu Valley. It’s totally incredible. Take a stroll around the temple and stupa, see the monkeys and learn more about this sacred spot. 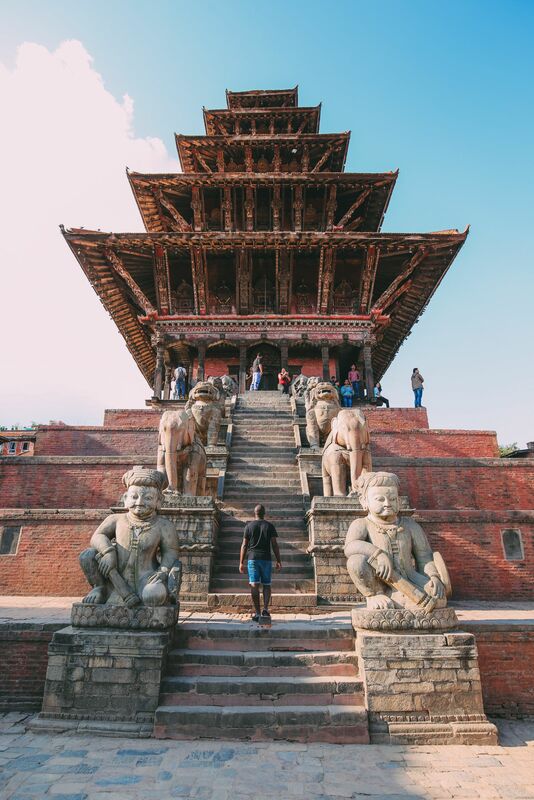 The UNESCO World Heritage Site of Bhaktapur is one of the incredible things to do in Kathmandu (though, it’s technically outside the city). Now, the drive itself shouldn’t take long at all, but if you hit that notorious Kathmandu traffic, you could be stuck for hours. 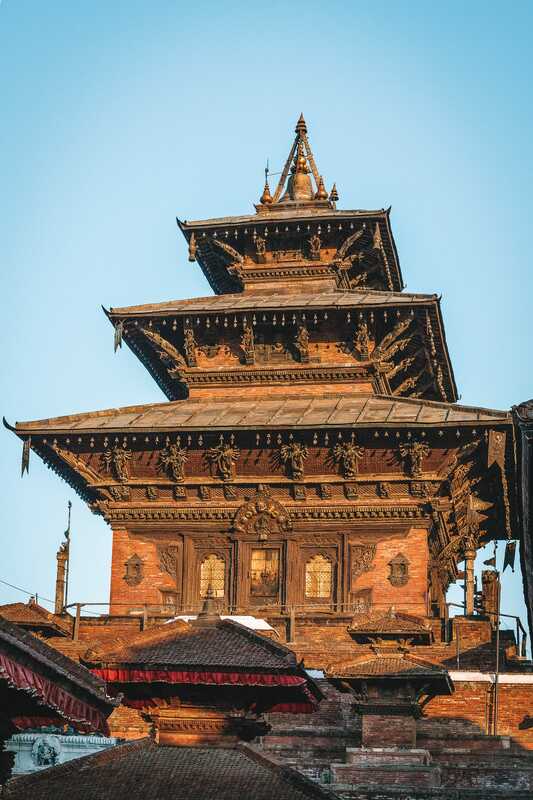 Once here, make sure to stop off at the Nyatapola Temple, see Durbar Square and explore Taumadhi Square. After a little lunch of momos (like dumplings), pop into 55 Window Palace, the Dattatreya Temple and see Pujari Math. 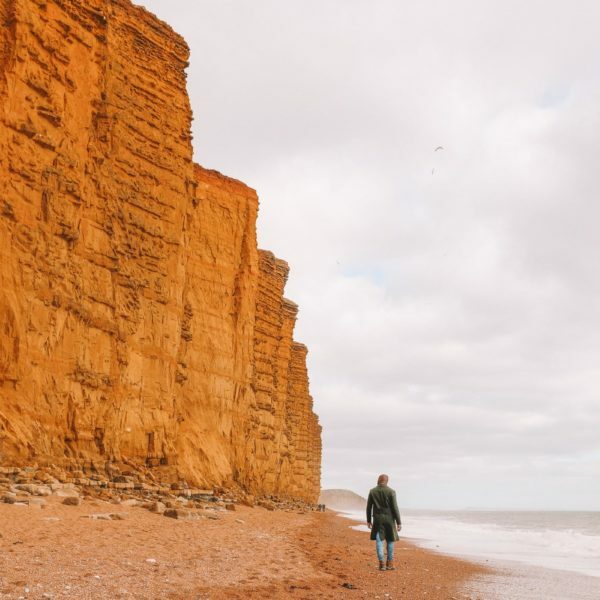 Now, it may seem like a lot of places but it’s easy to explore them all by foot. Spend a few hours strolling Bhaktapur and taking in this incredible and ancient city. 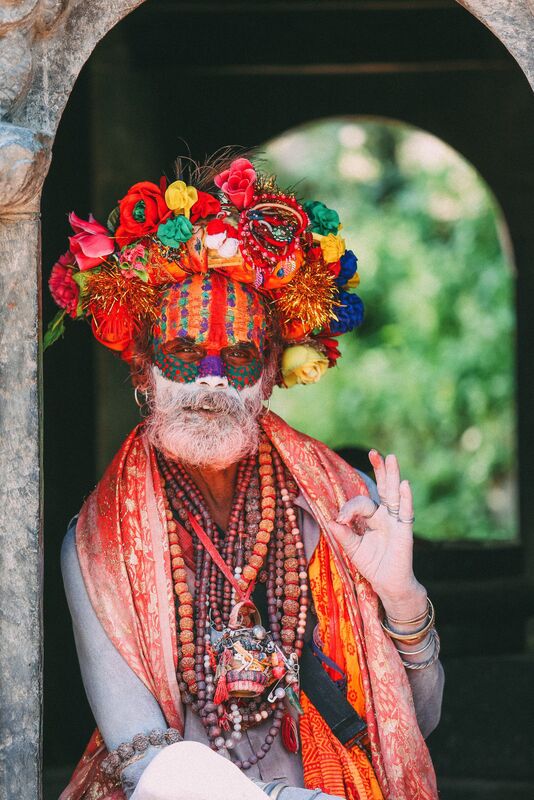 Located in the city itself, Pashupatinath Temple is a Hindu temple that’s one of the best things to do in Kathmandu. This sacred place is known the world-over by Hindus, with millions visiting here during Maha Shivaratri. The whole temple complex is huge and sprawling and a beautiful place to see whilst in the city. 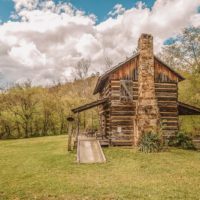 Now, as a visitor to the complex, you will need to pay a considerably higher price than locals (but still affordable) to enter the complex. Once inside, wander around, explore the religious sites and experience this sacred place. One thing to bear in mind is that this is a place of worship and you should always be respectful whilst here (for obvious reasons). One other thing to point out is that public cremations happen on the riverfront within the temple and it’s likely you will come across these. 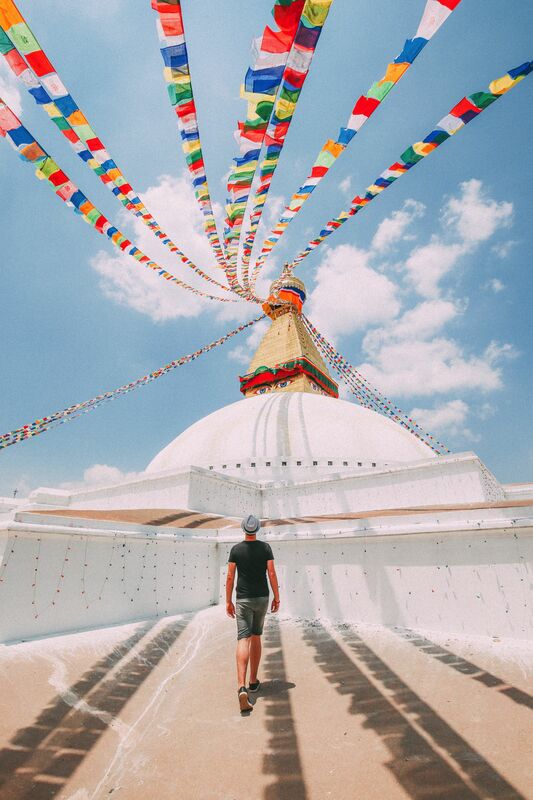 Being one of the largest stupas in all of Nepal, the Boudhanath Stupa, is certainly one of the best things to do in Kathmandu (especially if you’re interested in religious history). Once here, make sure to wander around the complex, and explore this point that was on the old trade route with Tibet. All around the Stupa, you’ll find lots of little shops and cafes, too. It’s a beautiful and imposing stupa that you’ve gotta see whilst in Kathmandu. At the north end of Durbar Square, you will find this most magnificent structure and things to do in Kathmandu. That is, Taleju Temple. It’s one of the most important Hindu sites in the nation, and though it’s not open to the public, taking half an hour to explore the outside of this great building is a must. 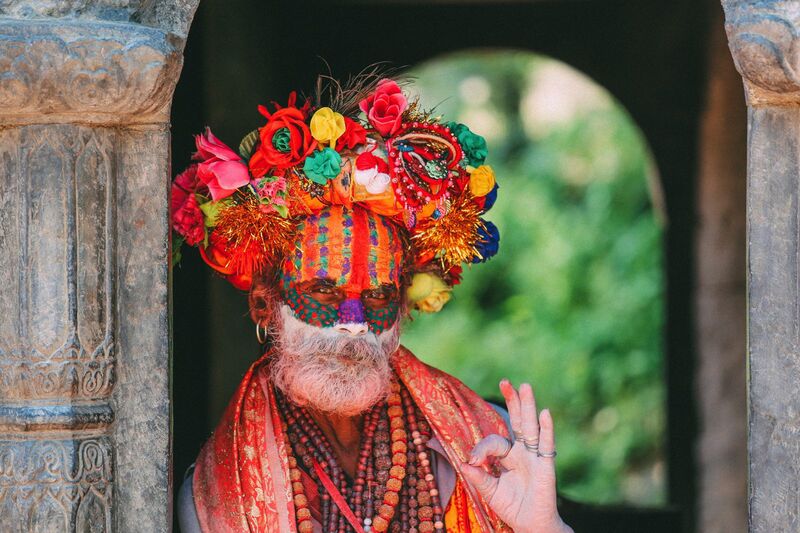 Plus, if you happen to be there for the Dasain festival, when Hindus may actually enter the temple, you’ll be in for a whirlwind of colourful culture and treat. 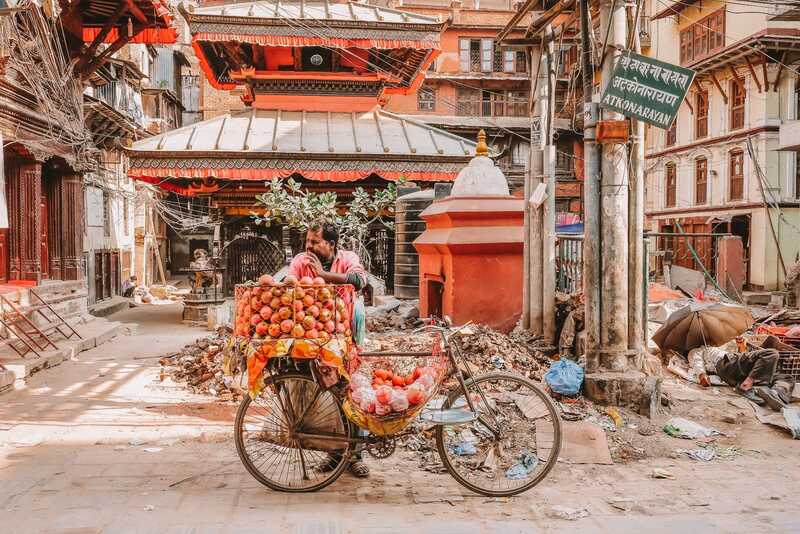 This thriving area of Kathmandu is a place that’ll tickle each of your senses. A local and visitor haunt, it’s an area that sells everything from street food, spices, gifts and everyday goodies. Just make sure to brush up your bargaining skills, though, prices often get inflated for visitors. One of the best ways to experience Thamel is by foot, though be alert, the neighbourhood area can be chaotic so watch your step with cars. 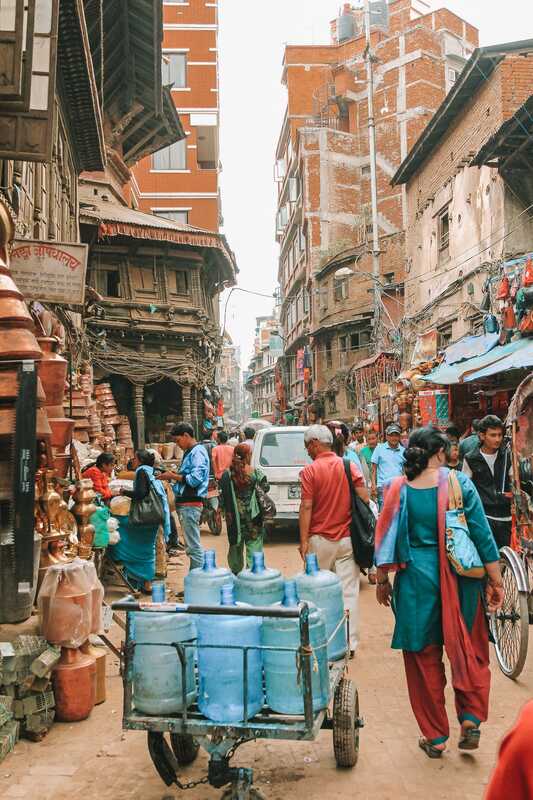 Now, the Thamel District is probably one of the most popular places and things to do in Kathmandu for visitors. Here, you’ll find lots of eateries, little shops and places like the Garden of Dreams, a tranquil little nook off the main thoroughfare inside a pretty park. Shivapuri National Park is an incredible area to visit, especially if you’re wanting a break from everyday city life. 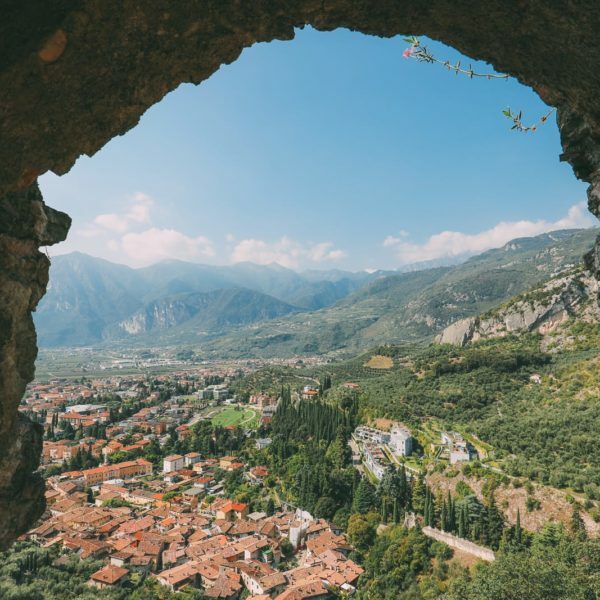 Head on one of the hikes to the top of Shivapuri Hill Station (it’s almost 9,000ft) and explore the totally gorgeous trails that cross through forests, vistas and summits. 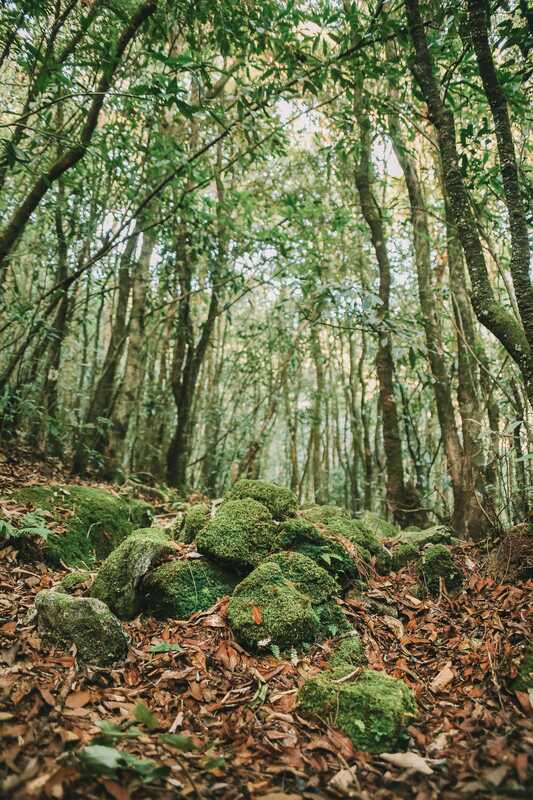 Shivapuri National Park is perfect for a 1-day hike. 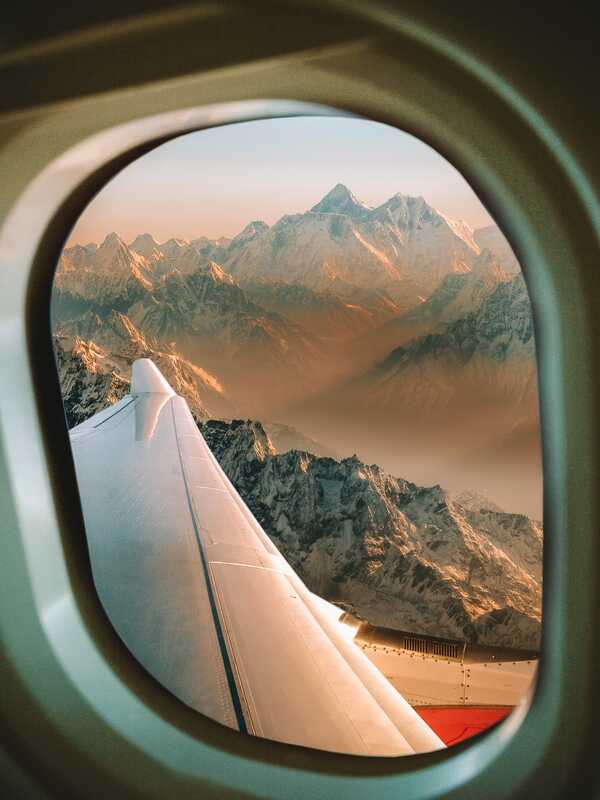 From Kathmandu, even if you aren’t planning to go hiking, or aren’t hiking Everest itself, you can still charter planes for reasonably low rates that will fly you out to have incredible vistas of the snowcapped highest mountains in the world. The two main companies that offer this are Buddha Air and Yeti Airlines that fly from Kathmandu Airport itself. 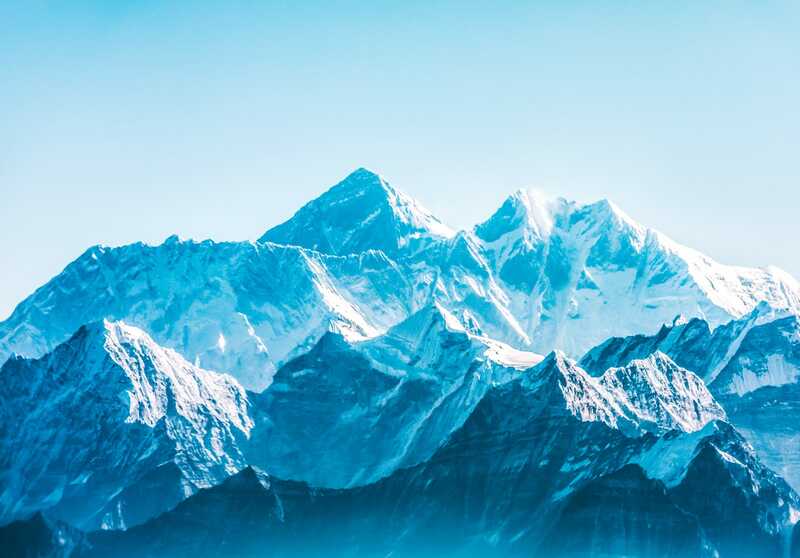 On a clear day, you’ll see Everest without having to take that incredibly long adventure. 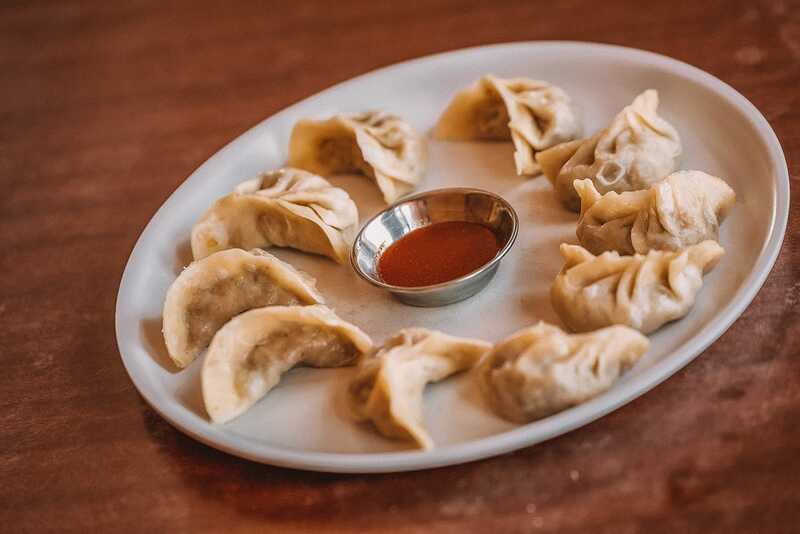 Momo is a Nepalese favourite and a type of dumpling that’s totally inexpensive and delicious. Although derived from Tibet, it was the Newar community that made this dish so popular in Nepal. Now, you’ll have no trouble finding them whilst in Kathmandu, just visit almost any of the local restaurants and ask for a plate. You won’t be disappointed.